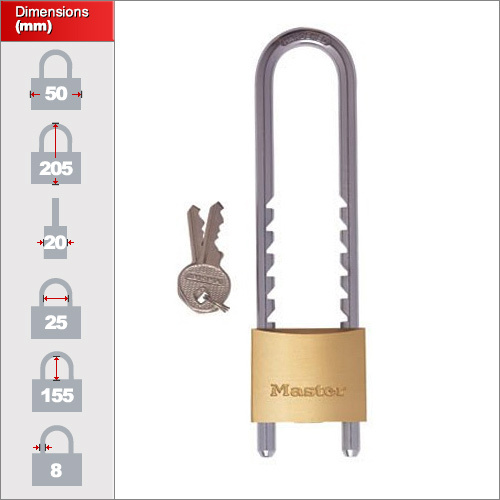 Masterlock have made this padlock to have a shackle adjustable between 70-155mm long using numerous ratchet notches along the shackle length. Inevitably it does make the strength of the shackle weaker at these points but the added convenience often makes it a worthwhile sacrifice. 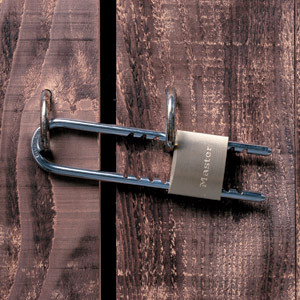 The lock only comes is a fairly large size of 50mm with an 8mm thick shackle. 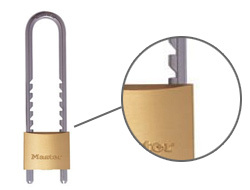 Smaller models would mean the shackle was too weak at the point of the adjustable notches.